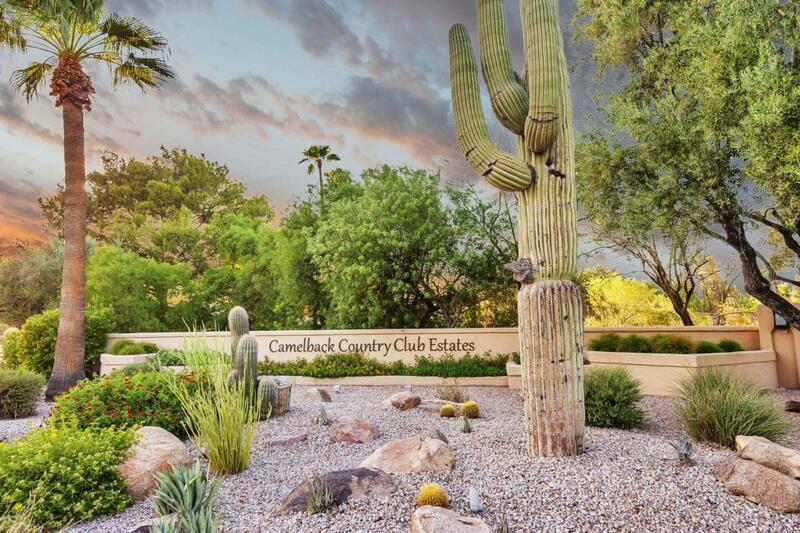 Discreetly nestled along the lovely, winding streets of Camelback Country Club Estates, this charming home exudes the truly tranquil, traditional AZ feel. 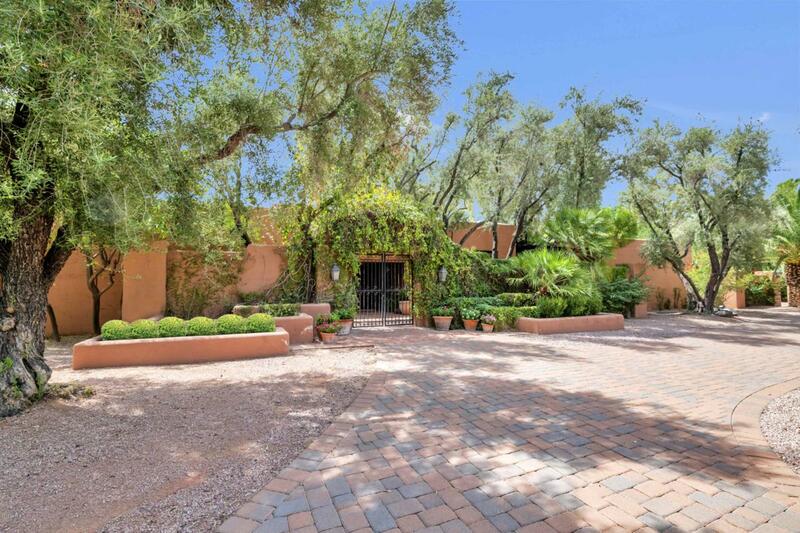 Pavered, circular driveway leads to the welcoming courtyard entry. Gracious main house (approx 3,652sf) offers versatile floorplan w/ 3 bedrooms, den & spacious living areas. 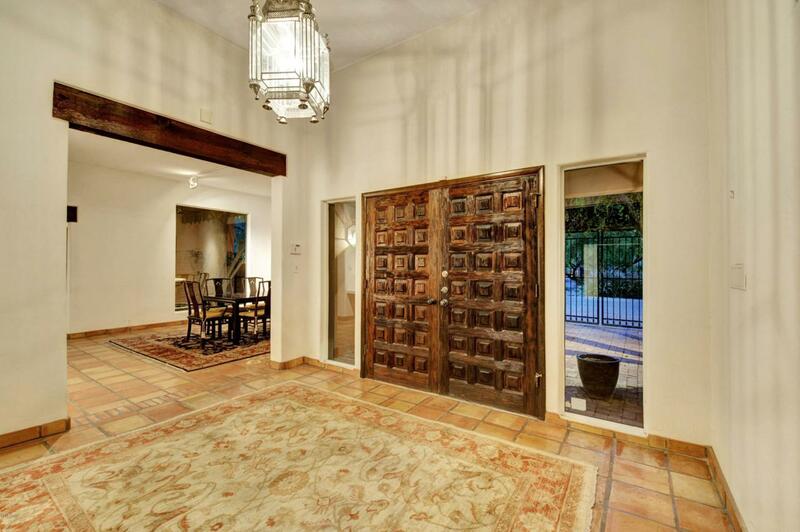 Several sets of French doors open to extensive covered patio overlooking greenery of very private, south- facing backyard. A curved pathway around center lawn leads to wonderful guest house (approx 1069sf) featuring great room living/kitchen, 1bed/1bath + flexroom & 2car garage. 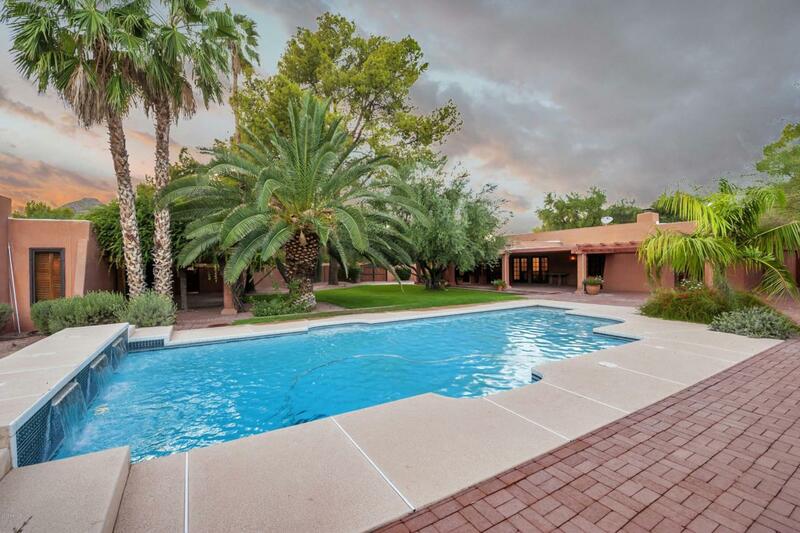 Layout of property is ideal for relaxing as well as entertaining family & friends in a super location of Paradise Valley! (Site & Floor Plans available in 'Documents').